Description Postcard; Scanned as B & W. Names identifying the people are different from those given for 48a. [ink writing on front]: John Bickner; Chas. [Charles] Haines; Willis Kohler; Will [William] Bickner. 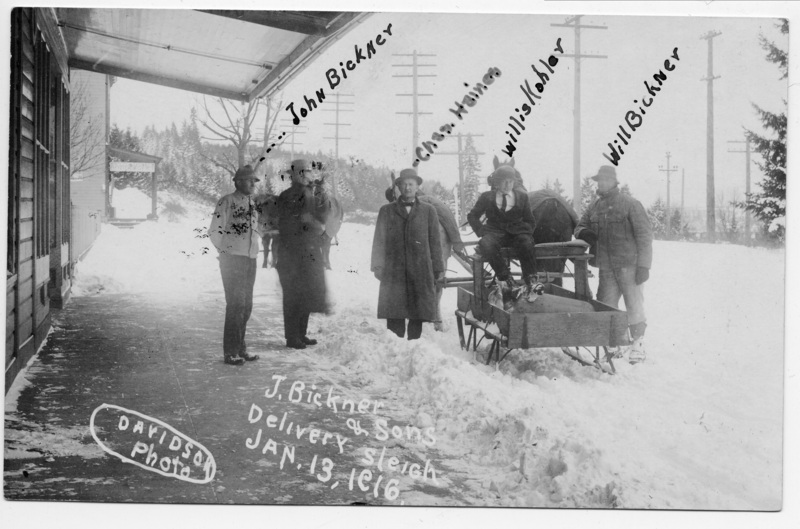 [printed on front]: J. Bickner & Sons Delivery sleigh, Jan. 13, 1916. Davidson Photo.